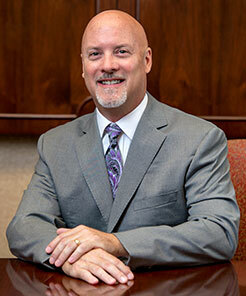 Tom Hoover’s financial services career began in 1988 as an independent financial advisor. Having started his own brokerage firm in 1995, he has maintained that independence throughout his career. Combining the strengths of their growing businesses, Tom teamed with Steve Cohlmia in 2002 to form the Cohlmia Hoover Group to specialize in retirement planning and financial planning for businesses and individuals. Subsequently Steve’s son Pete, joined the team as a financial advisor as well as Tara Davis who acts as the team’s executive assistant. Investing is a process and starts with a plan. Tom’s career focus is the planning process of wealth creation, the tax efficient distribution of wealth in retirement and transfer of wealth. He works closely with not only the clients with whom he has developed lasting relationships, but in many cases with their children and grandchildren as well. He also manages money for various non-profit organizations. Tom was raised in Garden City, KS and attended Kansas State University where he obtained an engineering degree. An interest in the markets and financial industry led Tom to take his analytical skills to that arena. He met his wife Bonnie while attending Kansas State. Together they have two sons, Jason and Ryan. In addition to his passion for K-State, Tom has spent many hours coaching youth sports. He also enjoys golfing, hunting, traveling and any activities that involve spending time with his family. Tom is a current board member of Harry Hynes Hospice. Giving back to the industry, Tom has served as a FINRA (industry) arbitrator since 1996. He holds Series 7 (General Securities Representative), Series 8 (General Securities Sales Supervisor), Series 24 (General Securities Principal), Series 53 (Municipal Securities Principal Examination), Series 63 (Uniform Securities Agent State Law Examination), Series 66 (Uniform Combined State Law Examination) as well as insurance licenses.